Album cover and inside booklet illustration of "Pico" by acoustic quartet Subzar, art direction by Clayton Junior. 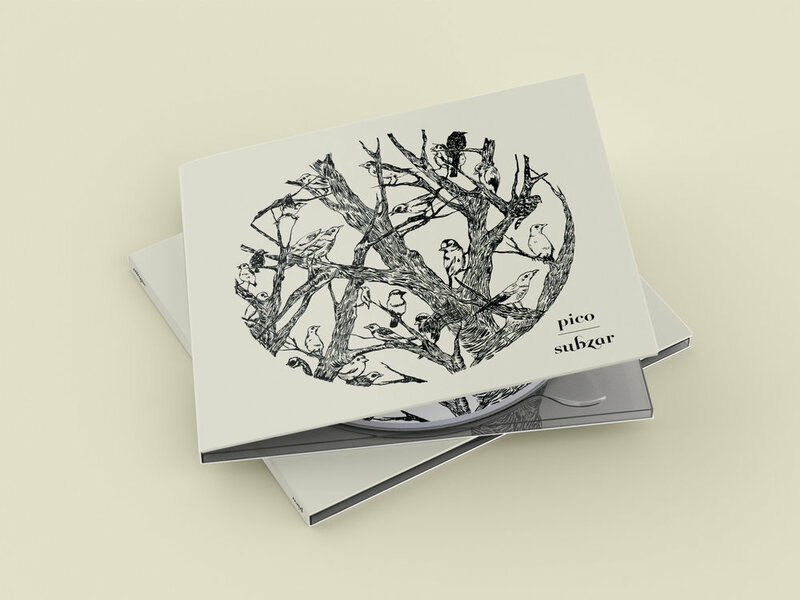 Pico is a concept album that conveys the migratory journey of a flock of birds in a complex and fascinating 21-minute piece. The EP is divided into four movements, each one chronicling different parts a the journey full of triumphs and travails for the birds. Subzar's music is entirely acoustic and instrumental, fusing influences that fluctuate between Jazz, Post-Rock and Classical. Two guitars are accompanied by a violin and a cello, instruments that compensate the lack of drums by creating beautiful and calm atmospheres. "So many of us live like birds these days, seeking the sensation of pure flight as much as that of stillness. So many of us observe our own migratory patterns, and fly even when we simply listen to a piece of music as transfiguring as this one." Pico Iyer.